August 2016 - Whiteboard Consulting Group Inc.
How I used a process map to make a kid go to bed. Ah Summer Vacation. Rest, relaxation, sun, fun……and a screaming 5 year old. We had the pleasure of taking my stepdaughter on vacation just a couple of weeks ago. Nine hours of driving to arrive in the stunning Virgina mountains at a family fun resort. Yay! To be fair, let me tell you this kid is an angel. She is most definitely the sweetest, kindest, most polite child I have ever set eyes on. And there is no bias there whatsoever. Bedtime, however, reveals a second more scream-ey personality. As the evil stepmother, I try not to interfere with the nitty-gritty parenting details. That’s for daddy. I’m there for playing, cuddles, and using snapchat filters to make the kid laugh. After a few days of nighttime screaminess (and not enough wine in the world to combat the effects), I decided to take matters into my own hands. The kid needed structure – even if we were on vacation and things were a little less routin-ey. So I did what I know how to do best. I facilitated a process mapping session (cleverly disguised as a “craft”). Use Process Tools to Re-engineer your kid. Child’s Bedtime Process. So, first I said, would you like to do a “craft” with me? We can use stickers and markers and stuff? Then we went to building a current state/ future state map simultaneously (which I wouldn’t do normally, but I had attention span issues to deal with). How would you feel if we did this first, next, afterwards? 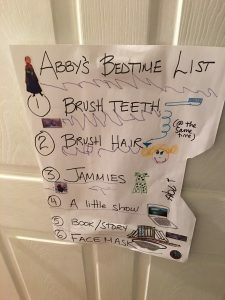 This made her feel like she designed the bedtime process, she knew what would happen next, and she had some consistency – everything should go in the same order every time. Since she can’t quite read, we added pictures and stickers. Ok, and it’s not a true process map. It’s a list. 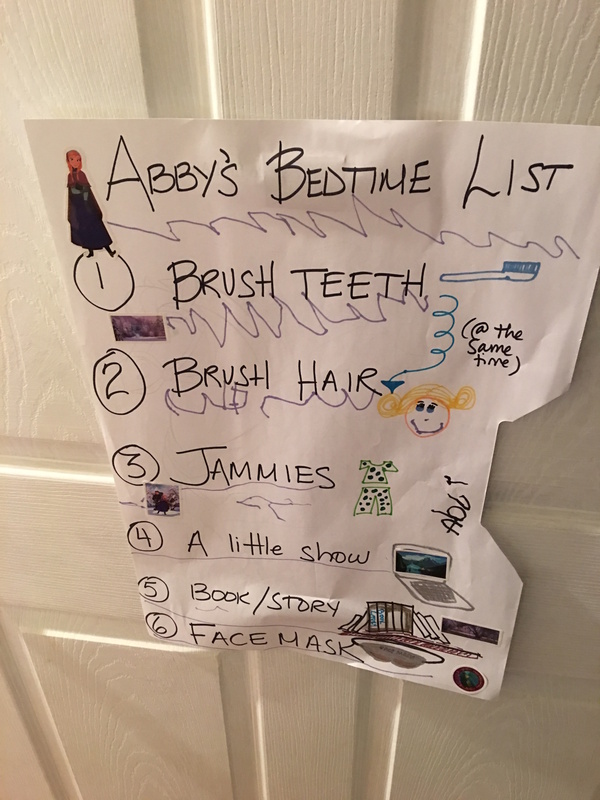 But it shows the order of things and what is included, and we even made some notes for concurrent steps or other issues (sometimes I brush my teeth and hair at the same time, or sometimes I don’t want a show, I’d rather have a story). I will definitely be introducing basic process mapping shapes into the next version, don’t you worry. Note: If you are alarmed by the term face mask – we found a sleeping mask helped her close her eyes and got to bed – so it became part of the process too. The next step was to get all excited about the list and try it out. 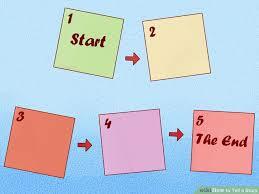 We posted it on her bedroom door and said, “ok – what do we do first?” Eureka! It worked. The more we did the list, the less she complained about this step or that step. She almost always had something to look forward to, and bedtime didn’t feel so imminent. And now – we just stay with the flow. 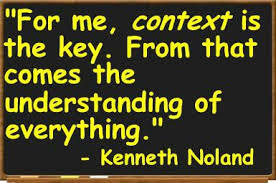 We make adjustments as necessary, but try to stick to the process as much as possible. Maybe in a month or two we’ll map it again- hey continuous improvement is just as important as the first improvement. So process geeks rejoice! You can now process map at home without fear of repercussion. Even kids get into it. Let us know if you try it out @whiteboardcons #bedtimeprocessmap.